Chris (Daniel Kaluuya) is being taken by his girlfriend Rose (Allison Williams) back home to her folks place, a sprawling estate next to a forest in a very wealthy part of the world. He’s black and is quite concerned about how the family will react to their daughter’s new black boyfriend. It’s ok though – Dad (Bradley Whitford) would have voted for Obama for a third term. Mum’s a psychologist (Catherine Keener) and bro Jeremy (Caleb Landry Jones) is a bit of a freak, but surely it’s ok? Oh, no. 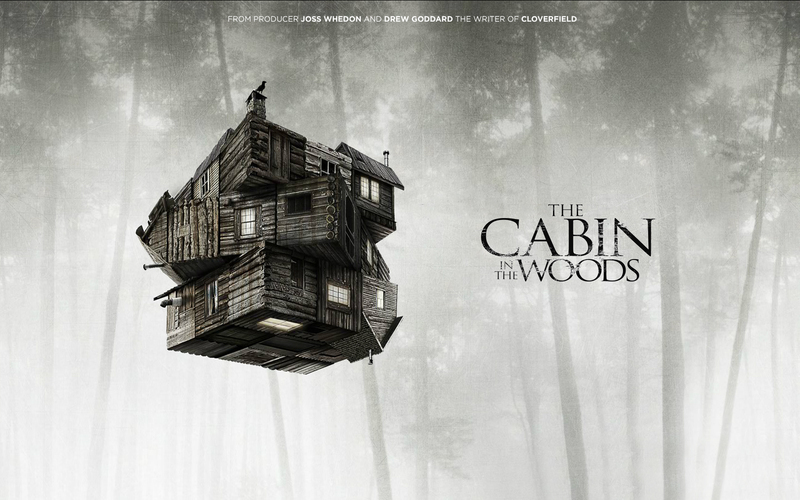 That’s when you need to remember that this is a horror film and things just are not going to be that straightforward. It’s been talked about as a film where the horror is being a young black man surrounded by well-meaning white folks, and that’s pretty reductive. Yes, there is a lot of fish-out-of-water humour, but there’s a lot more to it than that. I only really discovered Key and Peele over the last year or two (I’d suggest if you have not seen the show, get onto it. It’s hilarious, often also very clever, and all on Netflix. Get Out is by Jordan Peele, and thus it’s funny and clever. Get onto it – and don’t stress out too much by the horror side. You’ll only scream a few times. P.L. Travers (Emma Thompson) wrote Mary Poppins, and Walt Disney (Tom Hanks) wanted to make a film of it. But she hates films and she hates animation and she won’t bear it. 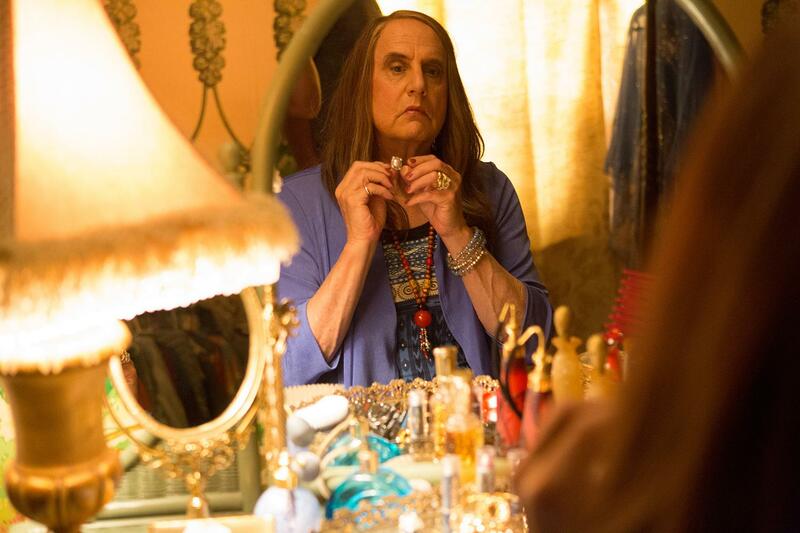 However, she is convinced to visit Hollywood and work with a fabulous team (Bradley Whitford, Jason Schwartzman and B.J. Novak) to turn it into a film. Travers hates every moment of it, from the small talk of her driver, Paul Giamatti, to the food delivered to their workspace. But the experience takes her back to her childhood in rural Australia with her alcoholic father. Most of the film I loved. I didn’t love the structure all of the time – sometimes the flashbacks were a bit clunky and annoying, but they were so important to the film as a whole. Emma Thompson is always a delight to watch on-screen and I especially loved seeing her interactions with the Hollywood types – especially with Bradley Whitford, Jason Schwartzman and B.J. Novak trying to impress her. There was some heavy-handed make-up on Tom Hanks to make him look more like Walt Disney, and I felt that wasn’t necessary, however it didn’t bother me as much as it has in other films. And cry? Oh, so much so. And I so do enjoy a cry at a movie! 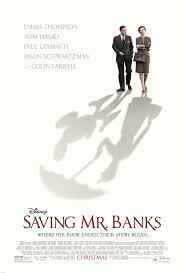 Saving Mr Banks was nominated for an Oscar for Best Achievement in Music Written for Motion Pictures, Original Score, a Golden Globe for Best Performance by an Actress in a Motion Picture – Drama (Emma Thompson) and for BAFTAs for the Alexander Korda Award for Best British Film, the Anthony Asquith Award for Film Music, Outstanding Debut by a British Writer, Director or Producer (Kelly Marcel), Best Leading Actress (Emma Thompson) and Best Costume Design (Daniel Orlandi).